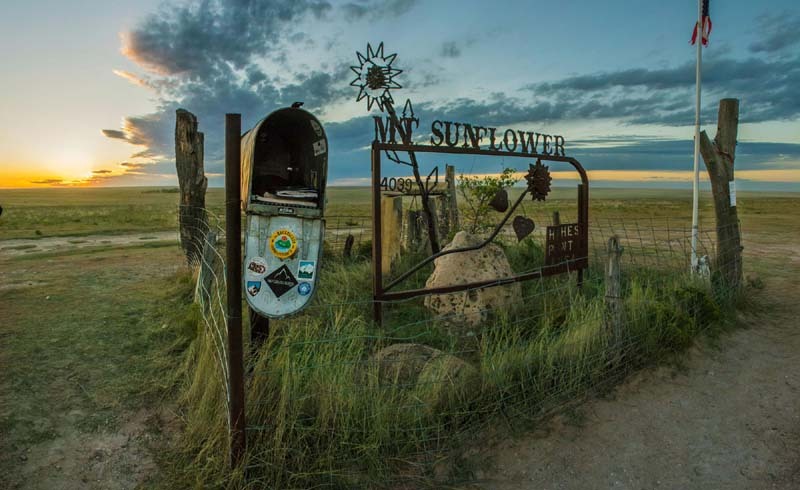 The state's highest point—4,039 feet above sea level—meets our writer's expectations: A metal sunflower sculpture. A mailbox with a guest book. And infinite pasture. “What gear do I need to climb Mount Sunflower?” an out-of-state backpacker asks over the phone before trekking to far-western Kansas. “Uh … shoes would be good,” quips Donna Price, director of the Sherman County visitors bureau. 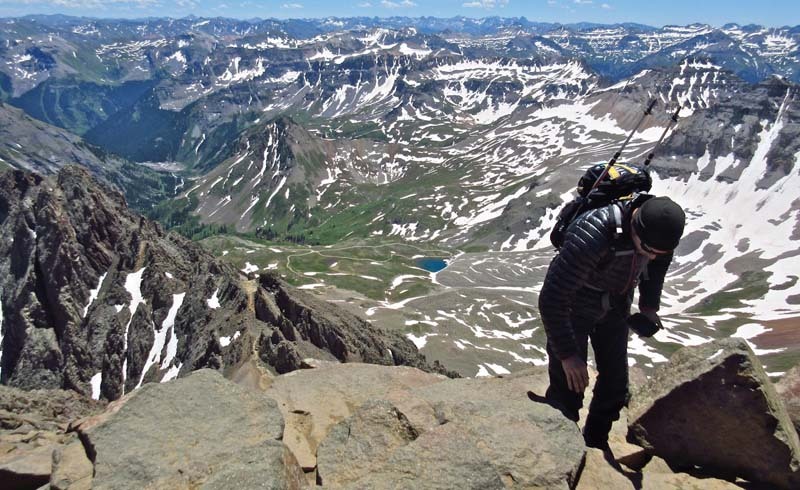 Donna has fielded dozens of these calls—domestic and international hikers looking to bag Kansas’ highest peak. I’ve done my homework. I’ll be wearing sandals. Driving south of Interstate–70, watery potholes pock the gravel roads, splattering my white Camry with mud. Cattle stare me down, as if to say, “I hope you know what you’re in for.” A sign points me to a dirt-road incline, and within a hundred yards, I see it. The “summit” meets my low expectations: A metal sunflower sculpture in a patch of tallgrass. A mailbox with a guest book. And pasture. Infinite pasture. I’ve reached the state’s highest point, 4,039 feet above sea level. But it could be 4 feet. There’s no ridge, peak or valley—just a rise in the land so subtle that I’m forced to imagine it. I take my selfie and peek inside the mailbox plastered with stickers from backpacking clubs. Among hundreds of guest-book entries, one from August 11, 2016, reads: “This is the 400th time I’ve stood on a state high point. It seemed fitting to be here and watch the sunrise, as Mount Sunflower is one of my favorites.” Somewhat confused, I give my surroundings a closer look. All the quiet nothingness … it’s kind of epic. Mount Sunflower is located on a private ranch 40 miles southwest of Goodland (use GPS) and 2,600 feet from the Colorado border. Visitors are welcome as long as they respect the land and give cattle the right-of-way.